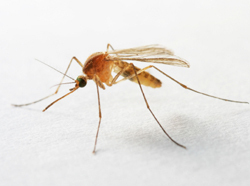 Following three confirmed cases of mosquito-borne West Nile virus in Camden County, the county Mosquito Commission will spray Wednesday night in Barrington, Haddonfield, Haddon Township, Audubon, Collingswood and Camden. Spraying is scheduled for Dubois Avenue, Charles Avenue, Austin Avenue, Fifth Avenue, Fourth Avenue, Third Avenue, Thomas Avenue, Albany Avenue, Kingston Avenue, Reading Avenue, Albertson Avenue and Moore Avenue. Camden County West Nile cases this year have been confirmed in Voorhees, Collingswood and Camden. There have been 22 confirmed cases in New Jersey this year, including a Burlington County man who died from the infection. To contact the county Mosquito Commission, call (856) 566-2945 or email skeeters@camdencounty.com. Is there a schedule for the rest of the town??? 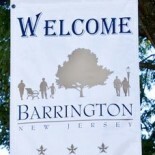 This entry was posted on September 19, 2012 by Barrington Bulletin in Region, Safety and tagged mosquito, west nile.